Measuring the Distance Between Meridians of Longitude Along a Parallel of Latitude. At the Equator, the distance between meridians of longitude is 60 n.m. (or 60.113 to be precise). However, as we move north or south equator, we find that the distance between them decreases as they converge towards the poles. 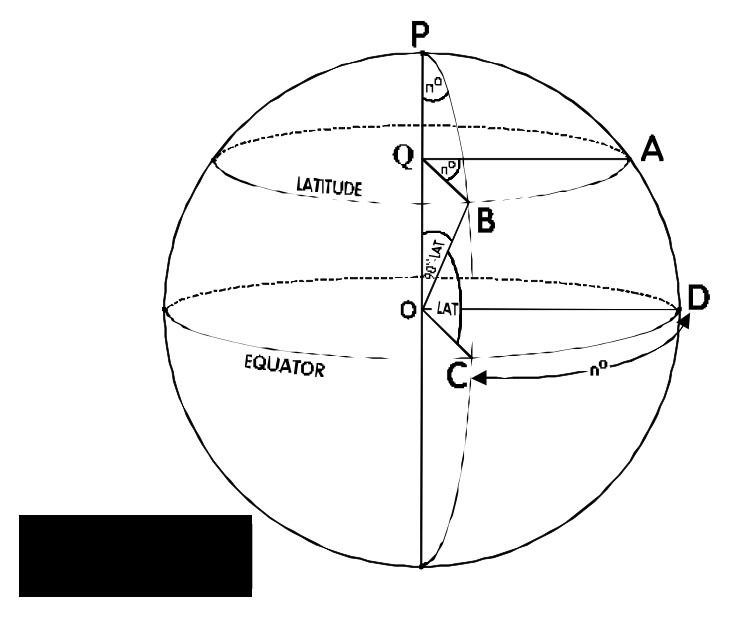 So how do we calculate the distance between meridians of longitude along a particular parallel of latitude?